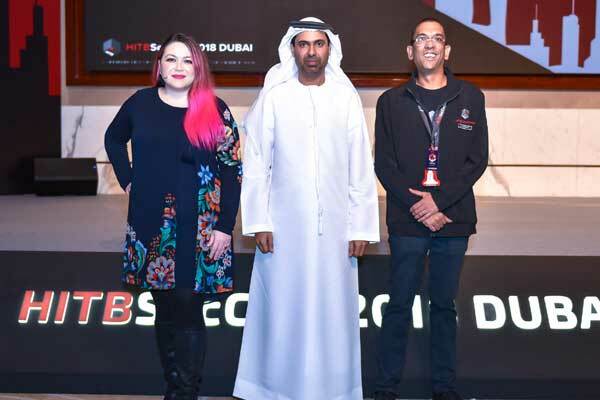 Dubai is determined to turn the challenges into opportunities as it tackles global cybersecurity threats on its path to continued growth, said the emirate’s IT security chief at the recent Hack In The Box (HITB) Security Conference, in Dubai, UAE. Speaking as he opened the two-day event, Dubai Electronic Security Center (DESC) director general, Yousuf Hamad Al Shaibani, explained that the Dubai Cyber Security Strategy launched by HH Sheikh Mohammed bin Rashid Al Maktoum, Vice President, Prime Minister and Rule of Dubai, aims to strengthen Dubai's position as a world leader in innovation, safety and security in collaboration with the relevant partners. The conference is organised by Hack In The Box in association with DESC and local partner DarkMatter Group, the region’s first and only fully-integrated digital transformation, defence and cyber security consultancy and implementation firm. Several prominent figures in the global cyber security industry also spoke at the opening, including Luta security founder and chief executive officer Katie Moussouris, an information security veteran who has been a consultant to both the US Government and European Parliament. F-Secure chief research officer Mikko Hypponen, a worldwide authority on computer security, who is listed among Foreign Policy Magazine’s Top 100 Global Thinkers, will be presenting a keynote speech tomorrow. “The rise of smart cities, and the adoption of IOT and AI within many government entities and enterprises raises the demand for cyber security awareness and capabilities,” Dabboussi said. “Our company partnered with HITB in the quest to empower the local professional community and pursue the common goal of creating cyber resilience for the entire region. To combat cybercrime, it is essential that we prepare the next generation of digital talent and equip them with the right technical training and skills. Hosting conferences such as this will make the UAE a focal point in the region for cyber experts, helping us attract the most skilled and ambitious in the field,” Dabboussi added. Among the various event highlights are a range of live hacking demonstrations, including a car hacking area in which experts will show participants how they are able to take control of modern vehicles remotely. Alongside this, HITB’s popular Capture The Flag (CTF) competition, sees several international teams competing in the kick off leg of the 2019 HITB CTF series. In addition to the professional-level competition, HITB is also hosting an edu-level Capture the Flag for undergraduate and high school students aimed at motivating UAE’s younger talent.